MultiPulse HoPLUS is a high power holmium laser device characterized by great flexibility and efficiency, which is a must in centers of excellence in Endourology. 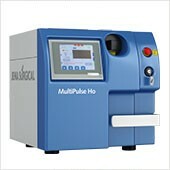 Fast, reliable and effective, MultiPulse HoPLUS provides unmatched precision and safety during all phases of surgery. 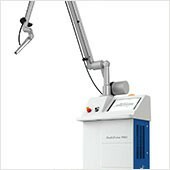 Ideal for both surgical treatment of benign prostate hyperplasia (BPH) and endoscopic treatments of lithotripsy, it is hardly recommended for long-duration procedures requiring high power thanks to its laser source reaching 140 W.
MultiPulse HoPLUS ensures high surgical performance thanks to the high levels of energy and pulse repetition rate, guaranteeing reduced operating time and cutting procedures that are effective and delicate at the same time, with an excellent hemostatic effect. It does not produce carbonization or necrosis, leaving the surgical field free and clearly visible to the surgeon. 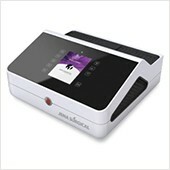 The micro-pulsed emission together with the wavelength of 2100 nm which is well absorbed by water, produces a dual photo-thermal and photo-mechanical effect, which translates to effective vaporization, good hemostasis and reduction in thermal effects and damage to surrounding tissue. MultiPulse HoPLUS is optimized for applications in Urological Surgery requiring high power emission, with a particular focus on BPH treatment. 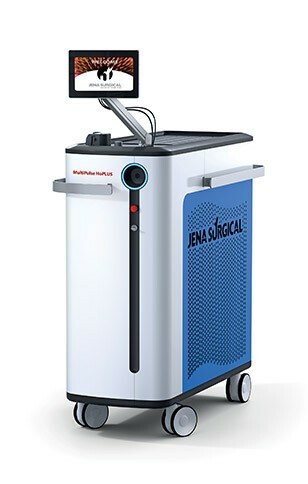 This laser system enables performance of both HoLAP (Holmium Laser Ablation of the Prostate) and the more advanced HoLEP (Holmium Laser Enucleation of the Prostate), as a minimally invasive alternative to the traditional techniques of prostatectomy such as transurethral resection (TURP) and open surgery. HoLEP, thanks to the surgical technique progress together with the presence of the integrated morcellator, makes it possible to reduce operating time and treat prostates of any size. With this technique, the enucleated tissue can also be evaluated histopathologically in all cases. 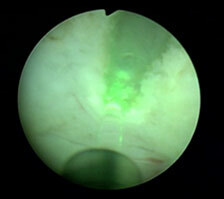 Multipulse HoPLUS is undoubtedly the most versatile laser system for Urology. It offers a wide set of applications ranging from the strictures treatment (urethrotomy) as well as being universally recognized as the gold standard in endoscopic lithotripsy for the stones fragmen­tation and pulverization, regardless of their composition and anatomical location (also for common bile duct stones and sialolithiasis).